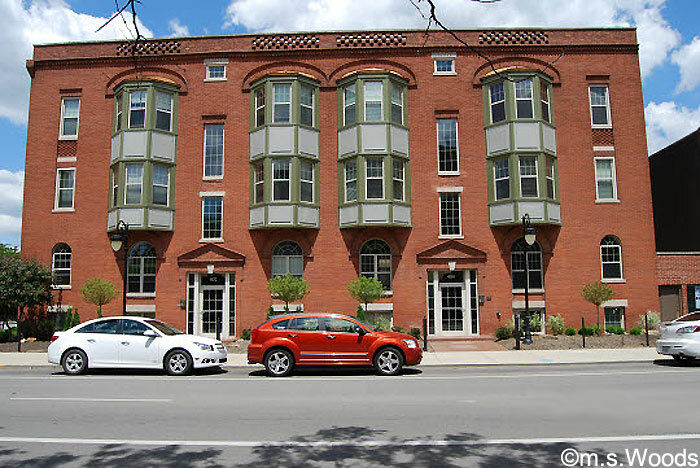 Located at the corner of New York and New Jersey is a gorgeous brick condo building known as Lockerbie Corners. 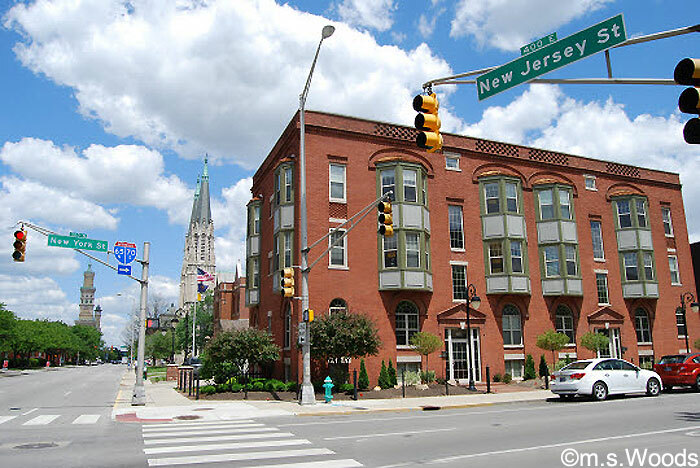 The Lockerbie area of Indianapolis is among the most sought-after places to live in downtown Indy, and is just a short distance from the Mass Ave Cultural district. This condo community is home to 10 condo units, including 5 flats and 5 townhomes, each ranging from 900 to 1,750 square feet. 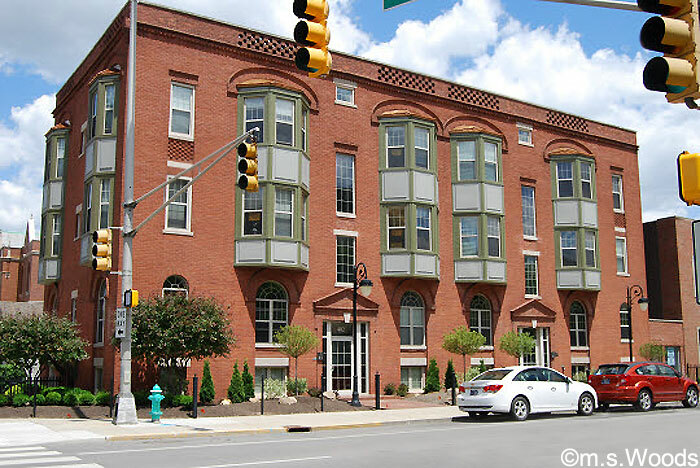 Amenities include hardwood floors, large bay windows, granite counters, stainless appliances, am exercise facility, rooftop deck, laundry hook-ups, central air and 1-car garage. Residents also enjoy significant sound insulation thanks to double-walls construction between units. These tasteful, high-end homes fit in nicely with the brownstones across the street, and are just a short walk from all the shops, boutiques and restaurants. This is a very desirable area of downtown in which to live, owing to its close proximity to all the local hot spots. Within convenient walking distance is a grocery store, hardware store and dry cleaner. There are countless great establishments in this area, like Bru Burger Bar, Mesh Restaurant, the Rathskeller Restaurant, and Chatterbox Jazz Club, to name a few.